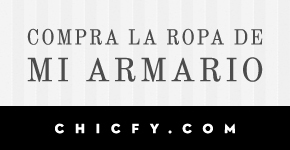 Algo Para Ponerme by Marimi: NEW POST: MY NEW NECKLACE!! 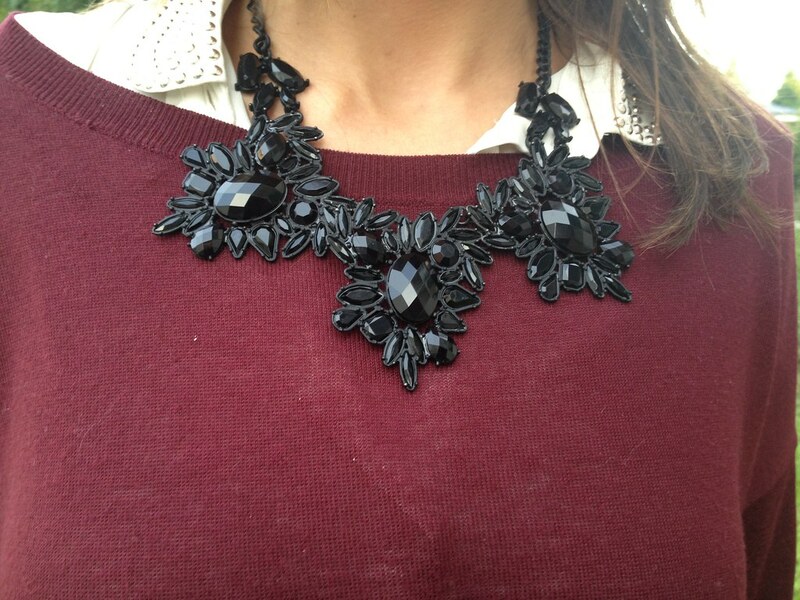 NEW POST: MY NEW NECKLACE!! 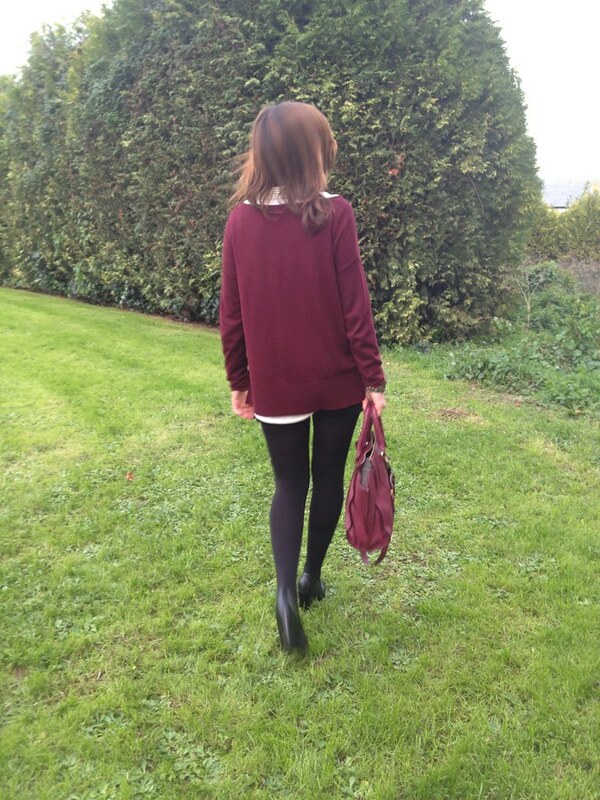 Hola a tod@s, hoy os presento un look con uno de los colores de la temporada el burgundy. A mi me encanta!! - Los shorts con crochet en los laterales son ideales. Adoro este tipo de prendas, y las uso muchisímo tanto en verano como en invierno con medias. 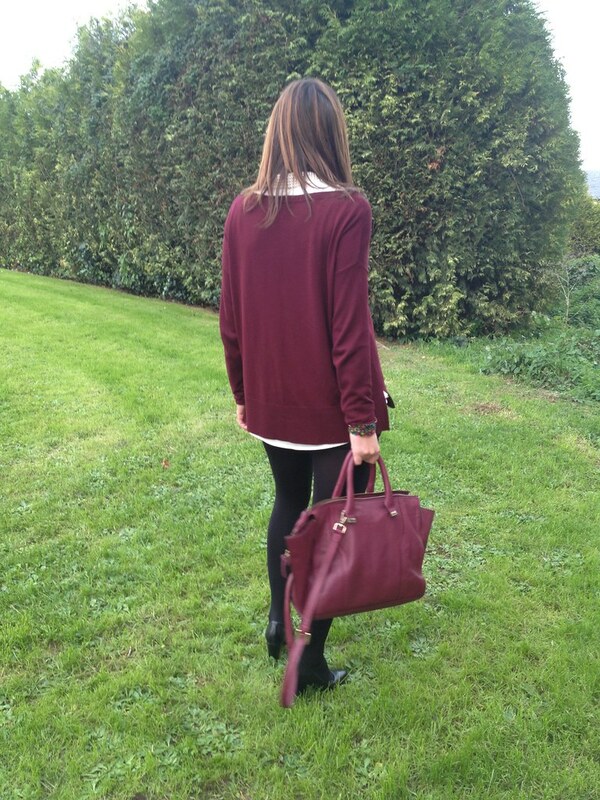 Los combiné con jersey burgundy y camisa de tachas en el cuello. Como prenda de abrigo, utilizé este trench militar que ya no me saco de encima, jeje!! Y como complemento estrella este collar de Mango que me encantó desde el minuto cero. Este tipo de bisutería es un must de este otoño-invierno!! 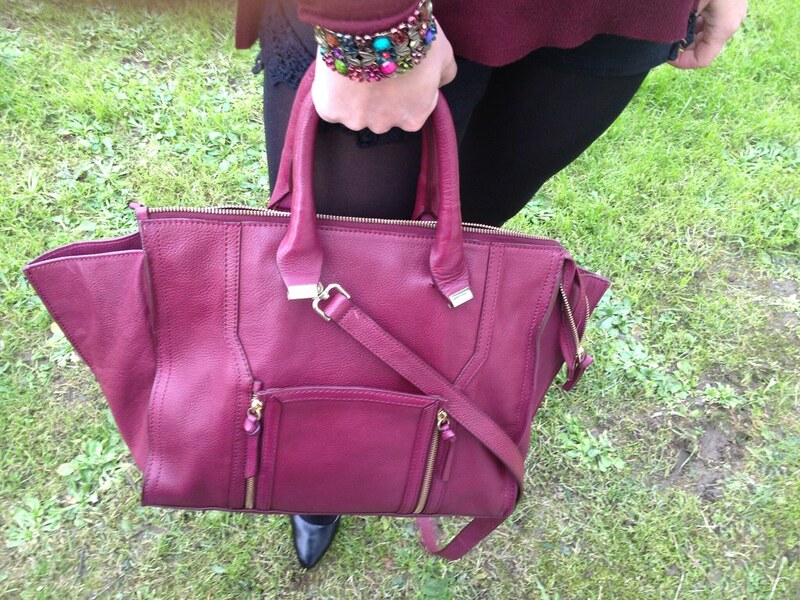 Today, I'm posting an outfit with one of this season colors, burgundy. I love it!! - The shorts, with crochets in the sides, are ideal. I love this kind of garments, and I wear them very often, during the summer as well as during the winter, with stockings. I've combined the shorts with a burgundy sweater and a shirt with studs in the neck. 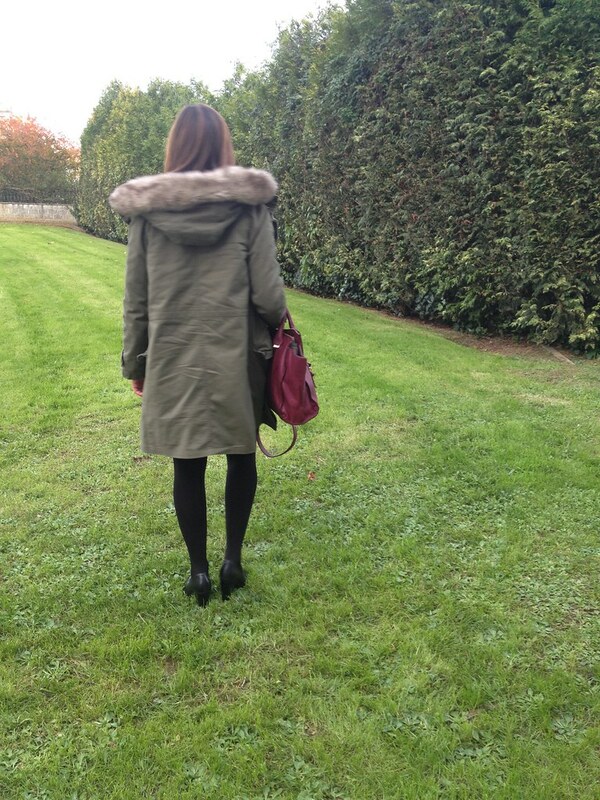 As a coat garment, I wear this military trench, that I don't take off lately, haha!! As a star accessory, this Mango necklace, that I liked at first sight. This kind of jewellery is a must-have this fall-winter!! Guapísima!! Te favorece mucho el burdeos. El bolso es una pasada! Hoy tenemos nuevo post ! ! This is the place where Marimi shares her biggest passions: fashion, photography and travels. Follow her in all her wonderful adventures inside the fashion world. Copyright © 2014. Algo Para Ponerme by Marimi. AVISO LEGAL. . Imágenes del tema: merrymoonmary. Con la tecnología de Blogger.